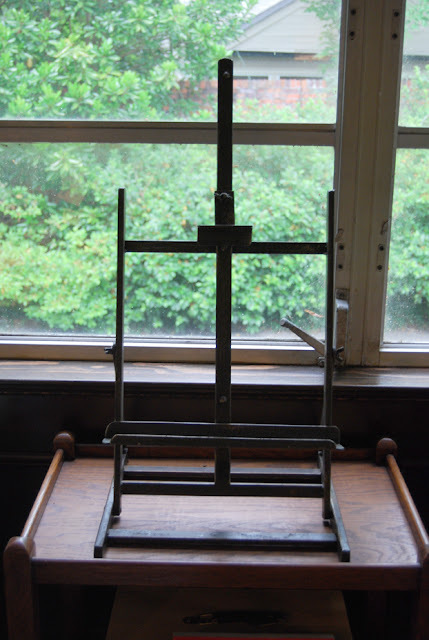 "One cannot collect all the beautiful shells on the beach; one can collect only a few, and they are more beautiful if they are few"
What a great easel..... the perfect find for you! Your shell collection and painting are lovely on display..... must get myself to a painting workshop one of these days! Hope you had a wonderful Mother's Day! The easel looks great - so glad your pretty painting found a home! Did you find those shells yourself? 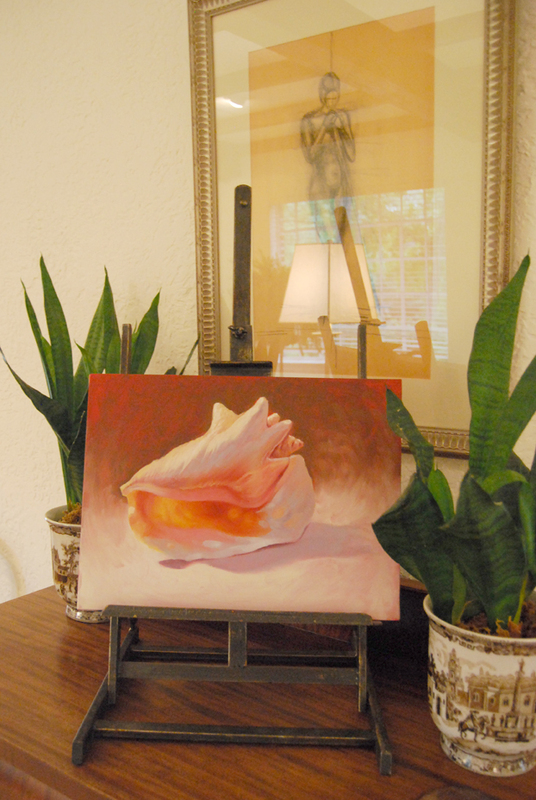 Lovely find and love your sea shells and your painting. 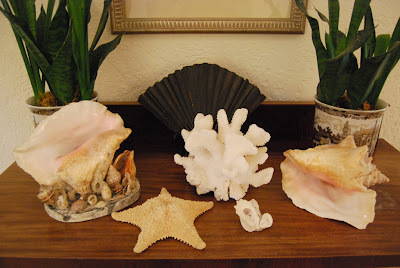 i think you need to add the fort sumter bricks with the barnacles to the shell collection! !....LOVE the eisel!! !